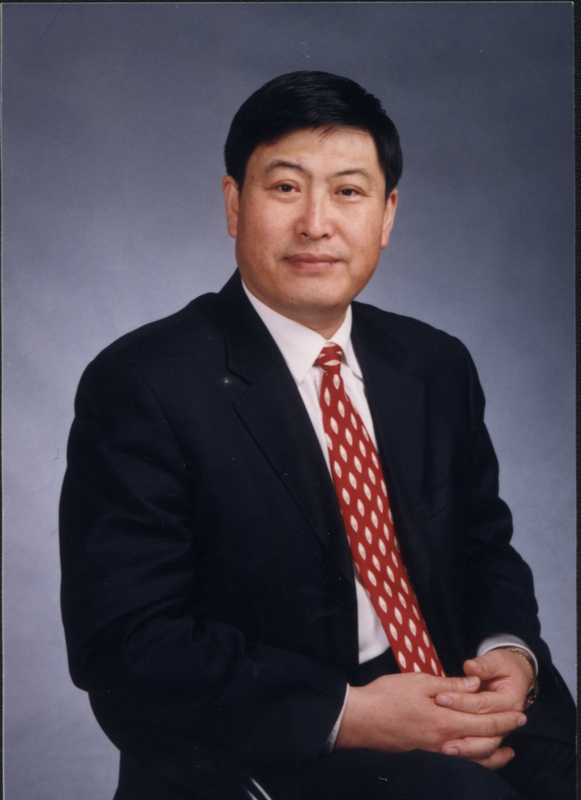 Wang Zhenguo, chief physician, research fellow, professor, Chinese young/middle-aged expert of outstanding contribution, grantee of special subsidy from the State Council. Up to now, Prof. Wang Zhenguo has won various awards, e.g. 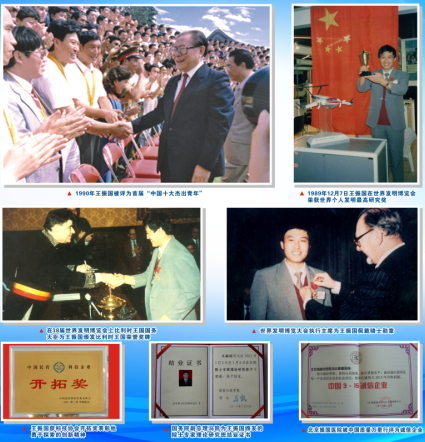 World Supreme Research Award of Personal Invention (1989, at the 38th EURECA World Invention Expo), Top 10 Chinese Outstanding Youngsters (1990), Top 10 Chinese Technological Talents (2004), and Top 10 Public Welfare Persons (2006, in the Public Welfare Activity in China). He has successively undertaken 5 country-level research projects of various national programs, e.g. National Key Programs of Problem Settlement in the 7th Five-year Plan and National 863 Program. In the Chinese Academy of Governance, he ever attended a theoretical research course for experts and academicians from the Chinese Academy of Sciences and the Chinese Academy of Engineering. At present, he holds various social titles in various institutions, i.e. honorary director of Society of Health for the Middle-aged and Old People in the China International Exchange and Promotion Association for Medical and Health Care, vice president of International Research Institute of Health, Fitness and Longevity, head of Changbaishan Medicines Research Institute, president of Beijing Zhenguo Hospital, and visiting professor of various colleges (e.g. Guangzhou University of Traditional Chinese Medicines and Guangxi University of Traditional Chinese Medicines). As the research and health expert of TCM culture, Prof. Wang Zhenguo has lectured on over 100 courses in the health column of China Central Television. He has published several special books, e.g. “Challenge – creating a life miracle”, “Prevention, Treatment and Rehabilitation of Tumors”, and “Cautions for Health of Entrepreneurs”. He has lectured the course of “Scientific preservation for a good health and longevity” and offered the field health preservation by himself for a few thousand of entrepreneurs and celebrities (e.g. attendants of President Course of Tsing-Hua University, world remarkable entrepreneurs and experts of National Defense University). In the past over 30 years, he was invited for academic exchange in more than 30 countries and regions, e.g. USA, UK, Japan, Australia, Malaysia, Hong Kong and Taiwan. At home and abroad, Prof. Wang Zhenguo has made a speech on the health preservation for illness prevention for more than 2000 sessions, and made an outstanding contribution to human health.